I drive a 2011 Commodore SS. I'm pretty big, 130kg, and getting on in years and with all the usual aches and pains, getting out of a normal car is becoming difficult. I am looking at an SUV for easier access. There are so many on the market, it's daunting. Which of the top five has good driver's space - where you don't feel like you need a shoehorn - and luggage space if I go away? I prefer a full-size spare. I like the Mitsubishi Outlander seven-seater but haven't seen any real positive press. An SUV will be a step up, literally, from the Commodore, won't have the performance of the SS but should do better on a tank of fuel. These vehicles tick the boxes for space and comfort. I've included the Outlander, though steer away from seven-seaters as there's no point in paying for pews you won't use. If you must have one, also look at the Mazda CX-9 and Kia Sorento. 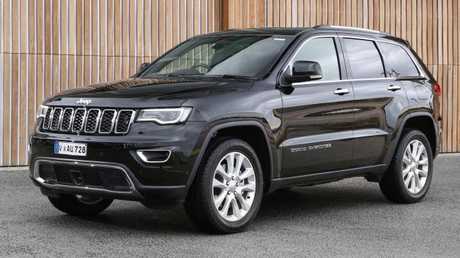 The Grand Cherokee was built for big American families and should accommodate you, no trouble. The two-wheel drive Laredo lacks active safety gear such as autonomous emergency braking. For that, you'll need the 4WD Limited at a cool $16K more. The drive-away price for both applies until the end of September. You get a 3.6-litre V6 (213kW/347Nm) matched to an eight-speed auto. Claimed thirst is 9.9L-10L/100km. The spare is the same diameter but has a smaller footprint _ 245mm against the regular 265mm. 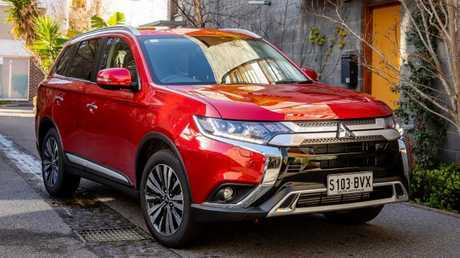 The seven-seat Exceed tops the Outlander tree, packing 2.4-litre four-cylinder (124kW/220Nm) matched to a continuously variable transmission and all-wheel drive. Standard are AEB, lane-departure and blind-spot warning, adaptive cruise control and sunroof. There are smartphone mirroring, leather upholstery, heated front seats and LED lights all around. 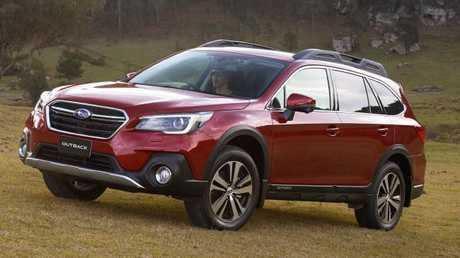 All-wheel drive only, the Subaru uses a 2.5-litre four-cylinder (129kW/235Nm) matched to a CVT. Active driving aids include adaptive cruise control, AEB, lane-keep assist and blind-spot monitoring. There's standard satnav and smartphone mirroring and the leather-clad seats are heated in the front. It's big, tough and comfortable. If you're looking for extra kick, the 3.6-litre six-cylinder version costs about $7000 more and it's thirstier - 9.9L/ 100kn rather than the four's 7.3L. 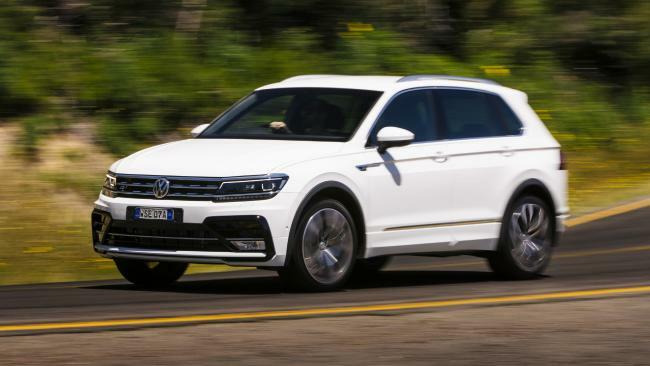 The Tiguan is as close as you'll get to a performance SUV, so if you can fit, it's a good fit. It's no SS Commodore but the 2.0-litre turbo pushes this mid-sized soft-roader to 100km/h in just 6.5 seconds, which is quick compared to the competition. It's also pretty good on fuel, even if you're not going to match the claimed 5.9L/100km. Active safety runs to AEB, adaptive cruise control, blind-spot and lane-departure warning. Inside there are leather upholstery, heated/power front seats and 9.2-inch infotainment screen with satnav and smartphone mirroring. 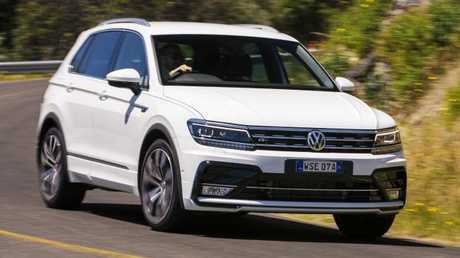 You're driving a V8, which suggests you like decent performance, in which case the Tiguan is the best bet here. If space is the key concern, go with the Jeep.